The SHERRILL HOME line of flatware by Liberty Tabletop consists of designs, sizing and weights found in most American households. 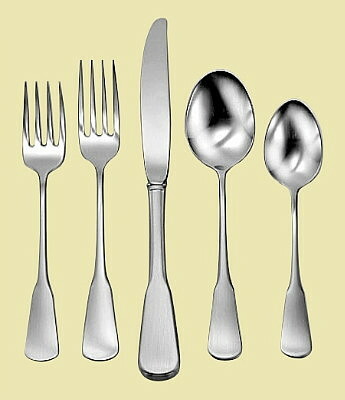 Manufactured using the finest 18-10 stainless available in the marketplace. The beautiful blue hue will last the lifetime of the product. Candra features a classic colonial silhouette with a brushed finished handle and a mirror finished bowl. Each piece is crafted with traditional American sizing and weight. This tasteful pattern is perfect for any occasion.